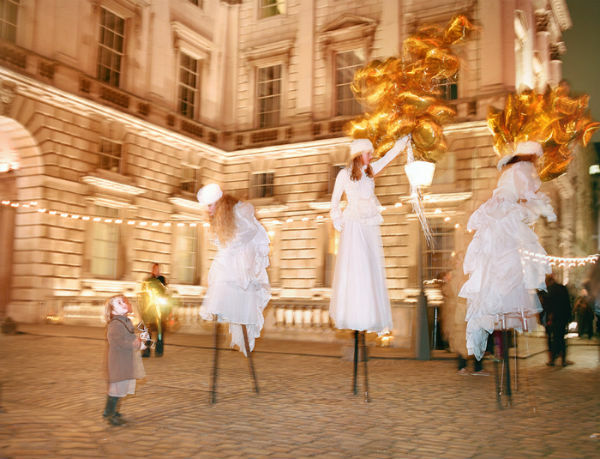 An Act Above use stiltwalkers and aerial skilled performers to create stunning visual spectaculars, indoor theatre pieces and character based walkabout acts. The show plays with a delicious combination of colours, music and contemporary movement culminating in a fantastic uplifting flag routine. Not only can the costumes change to whatever colour is desired, different parts of them could be different colours at the same time. The possibilities are endless. 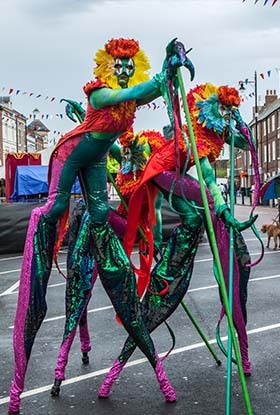 A wonderful example of this is the up coming Olympics, the stilt walkers can be in the Olympic Colours with their lights, providing beautiful entertainment for your Olympic themed event. 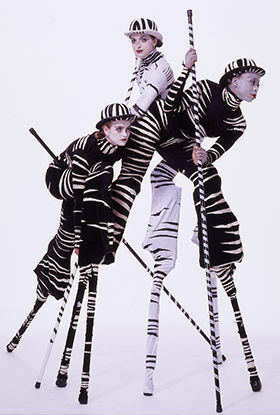 The act is available both as a 7 minute show and walkabout performance. The costumes are also available without the lights for daytime events. 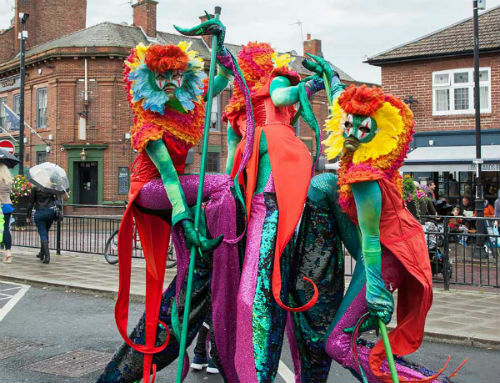 As a walkabout they are suited to specifically enhancing your event, for example leading processions, lighting up spaces and changing focus. 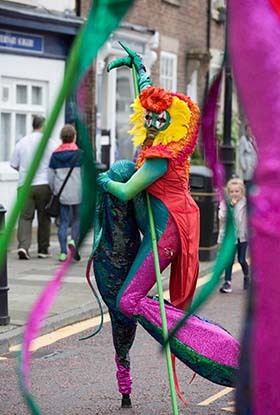 Ribbon twirling, feather blowing or still sculptures with poles can be choreographed into the event. 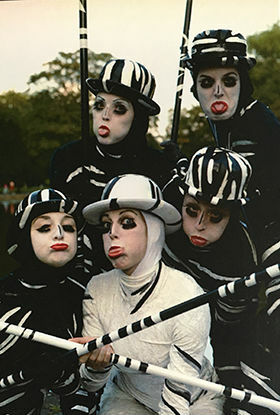 Up to seven performers mesmerise the environment with simple starkly beautiful images in beautiful costumes. 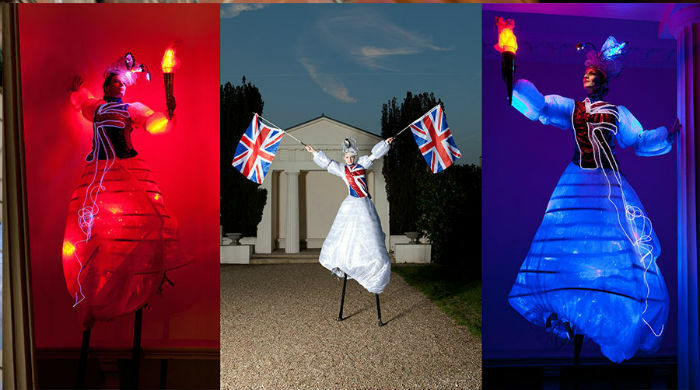 These costumes have been recently developed with help from The Circus Space to now have a LED system meaning they have the potential for 16 million colours!! Developed with influences from jazz, yoga and Clockwork Orange, The Stalkers move with slow, sensuous, sculptural power, compelling with their silence and staccato glances.They play with rhythm, focus and stillness and always seem to be up to some mischief, doubtless involving snuffling your food and drink. Enjoyed by all audiences from Singapore to Tuscany. Gaudi and Picasso are two bright and colourful walkabout creatures, inspired by the Gaudi Dragons in Barcelona. The lizards leap about being naughty. Beware: they try to get their claws into your food, hair, well anywhere really! 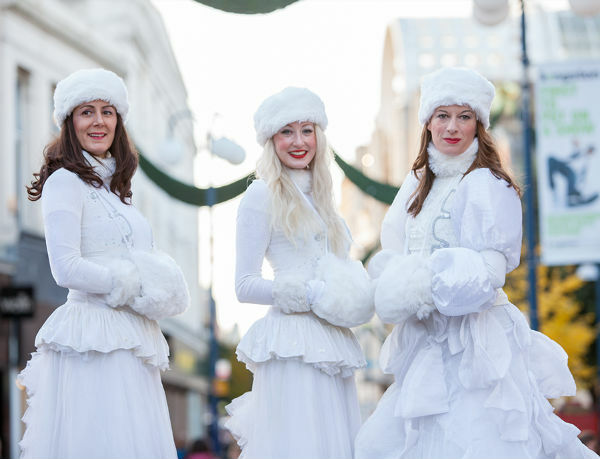 Two or four Russian princess come with baskets of snow to add a touch of something white to your event. Perfectly themed for white events, a perfect added touch for the Christmas season. 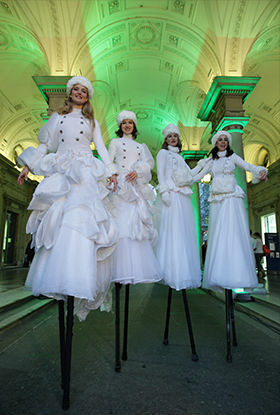 Can be performed at the same event with the snow silks act.